The search for goods, finished and intermediate stocks etc. costs time, money and nerves. Many providers are working on indoor positioning solutions. The technologies are very different and range from passive systems (RFID) to active systems, which usually work on the basis of WLAN or GPS. The localization of material is done either statically at certain positions (start/end/read points) or dynamically via tags or tracking of the devices that move the materials (e. g. forklift trucks). Different passive or active systems are used as technologies. One example of a passive technology is RFID, which has major problems with the detection rate in metallic environments. Today, active systems are usually WLAN tags attached to containers or goods. The problem with these tags, however, is the high energy requirement and the relatively low accuracy (approx. 5 m). Another system that has a certain range of application is GPS, which then only works on open spaces due to the nature of the system. Containers or goods to be monitored or located are equipped with active iBeacons. iBeacons are Bluetooth Low Energy (Bluetooth Smart / BLE / Bluetooth 4.0) emitters that emit a signal once per second. This signal has a unique identifier so that the different iBeacons can be identified. Standard mobile phones are used as receivers. If the radiation of the iBeacon is recorded by two or more receivers, the position of the iBeacons can be determined. We use this principle to determine the position of the iBeacons and display it to the user. The system can not only find the iBeacons. We link the iBeacons with container numbers. We assign goods, goods or objects to these container numbers. 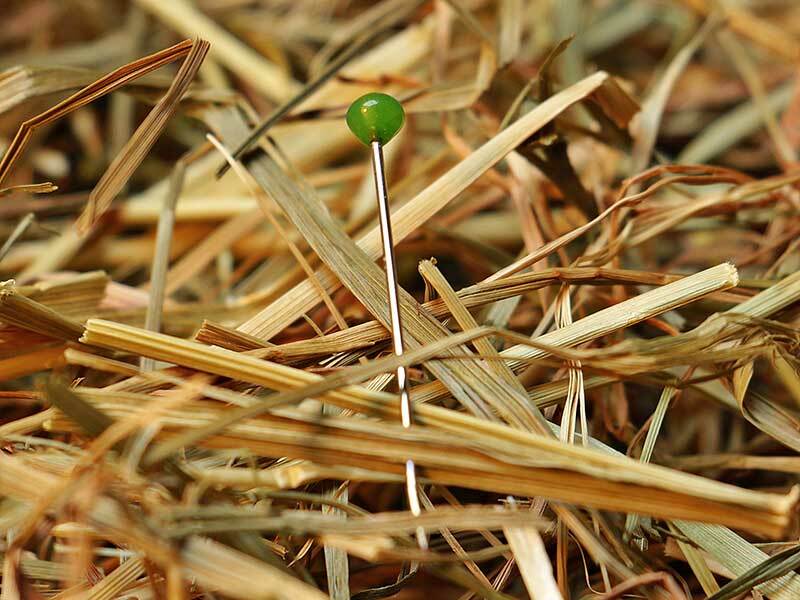 In this way the employees quickly find everything they are looking for. Our iBeacons can send signals for up to 3 years before the battery needs to be replaced. The distributed infrastructure makes it possible to process several 10,000 iBeacon signals per second and server. Employees can maintain the master data (material, containers, iBeacons, devices, layouts,…) via a portal. A role-based permission system controls the access rights. We use Android devices with at least Android 5.0 and BLE support. The devices can send data not only via WLAN, but also via 3G data cards. This is how the indoor tracking solution works without WLAN. For high-quality equipment (mostly tablets) and worldwide service we rely on our partner SAMSUNG. Thanks to SAMSUNG KNOX™, it is possible to process the data with maximum security. The SINTRA app can be downloaded from the Google Playstore. It is automatically updated when an update is available. This app continuously sends the data of all beacons to the server. You can also find this app in the Play Store. 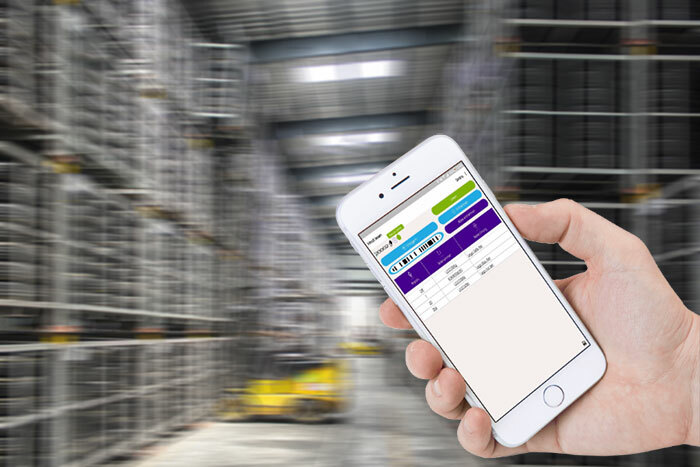 The app supports the posting of material to specific containers, the linking of containers with iBeacons, the history of material movements and the detection of containers and materials. With SINTRA your goods can be located in the warehouse or in production anytime and anywhere. The use of SINTRA for indoor localization is also possible across companies without integration. Replace Search by Find. Optimize your logistics processes – almost effortlessly! How much will you save using SINTRA? Calculate your savings right here. Contact us and we will show you Industry 4.0 in action!